Demartek provides real-world, hands-on research & analysis by focusing on industry analysis and lab validation testing. We are pleased to announce that Principled Technologies has acquired Demartek. For blade servers, 10Gb Ethernet (10GbE) has been available as a networking interconnect speed for several years. 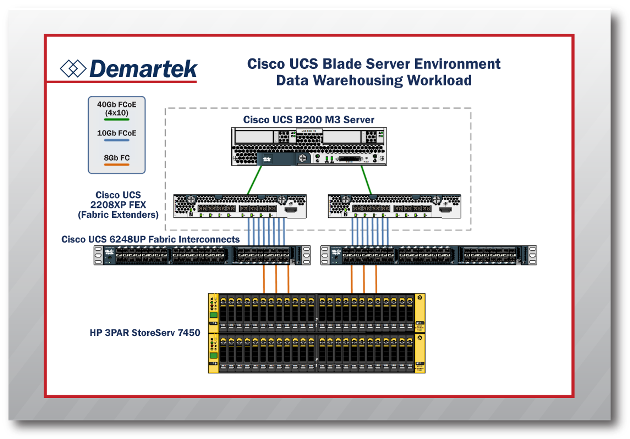 Today, 10GbE is widely utilized in blade servers and has become the de facto standard for blade server network interconnects. However, with the increasing processing power available in the current generation of servers, along with the expanding use of server virtualization and the growing amounts of data to be processed, many IT shops require more bandwidth than a single 10GbE connection can provide. 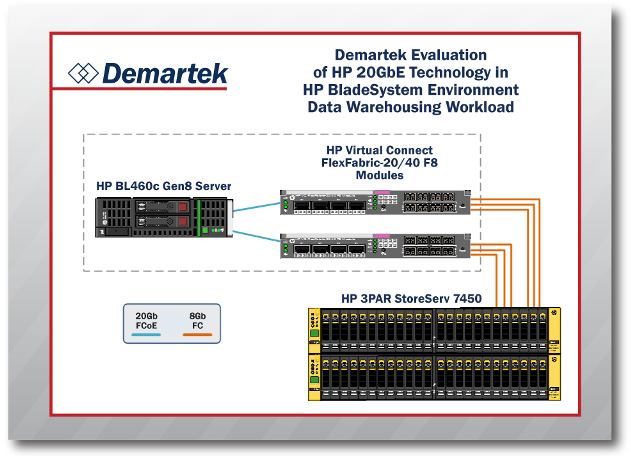 In 2014, HP introduced its 20GbE adapter technology for the HP BladeSystem environment. This HP 20GbE technology is compatible with today’s 10GbE and 40GbE technology, and is supported in existing HP BladeSystem enclosures. 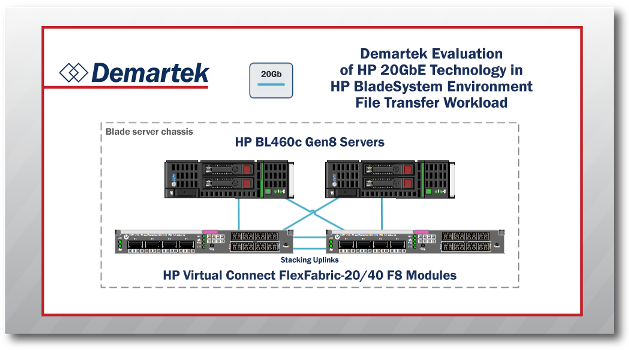 In this second evaluation of HP’s 20GbE technology, HP commissioned Demartek to perform additional performance tests using its 20GbE technology with its BladeSystem platform and compare it to existing 10GbE and 40GbE technology available today in the HP BladeSystem and Cisco UCS blade server environments. 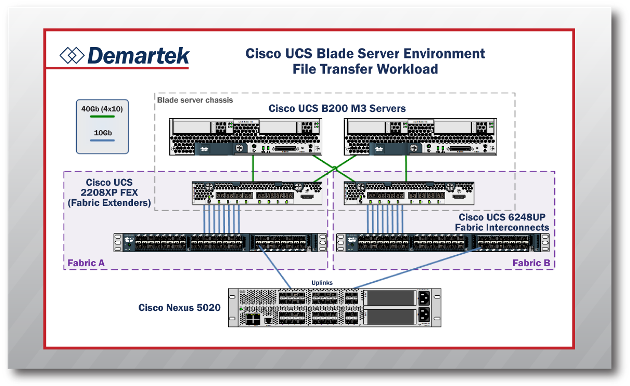 For these tests, we performed file transfers between blade servers within the same blade chassis and a database data warehousing workload involving a blade server and an all-flash storage array.